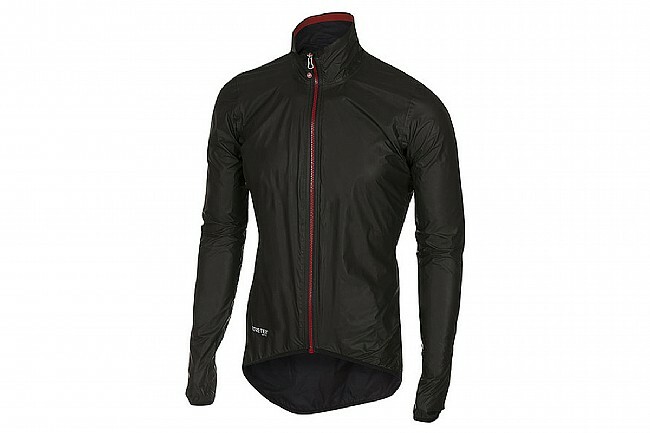 The Castelli Idro 2 Jacket improves upon the original Idro's design, retaining the Gore Tex Shakedry fabric's incredible waterproofing with an even lighter weight design. Weighing in at just 107 grams, the Idro 2 shaves 16 grams off the original without impacting waterproofing or breathability. Not only is it lighter, but it also folds down to be more compact, taking up only half of a rear pocket to leave space for tubes, nutrition, or other ride essentials. 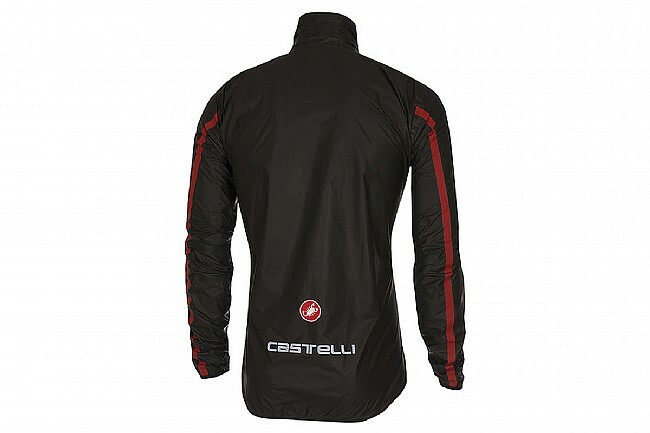 Castelli features a Euro-inspired fit pattern, and as such we recommend sizing up one size from other brands. For example, if you wear a medium jersey in other brands, it's recommended to buy a size large in Castelli. GORE-TEX® SHAKEDRY™ 2-layer ultralight waterproof breathable fabric. Durably waterproof and long-lasting weather protection backed by Gore. Folds into just half a pocket. Full length YKK waterproof VisIon Zipper. Reflective Castelli wordmark for improved low light visibility.